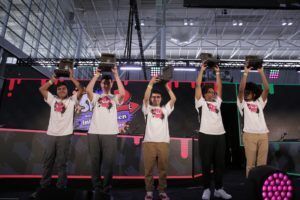 After a thrilling showdown this past weekend for the North American Championship titles in Super Smash Bros. Ultimate & Splatoon 2, two teams will move on to take on the best the world has to offer this June! In a best of 5, 3 vs 3 Squad Strike, battling extravaganza, Team Southeast prevailed over Team Northeast to become the SSBU champions. In the splatfest to end all splatfests, FTWin was victorious over Team Lowkey in a narrow, 4-3 triumph. 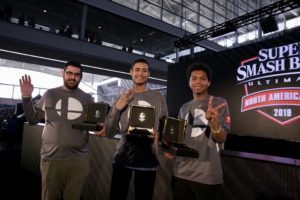 Along with winning their titles and the opportunity to represent the U.S. later this year, players from both teams took home a cool, golden Nintendo Switch Pro Controller, that is certainly the envy of any Nintendo fan. 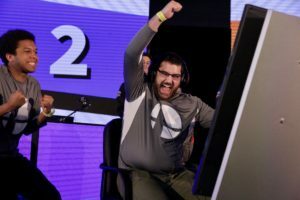 The World Championships will take place in Los Angeles on June 8th, preluding this year’s E3 Conference, which runs June 11th – June 13th. Make sure to tune in live via Nintendo’s Twitch channel or official website so you can cheer on these terrific teams to victory! Missed the intense action this weekend? 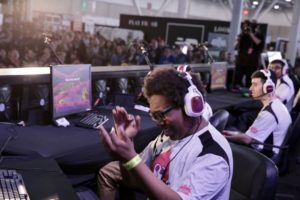 Watch a replay of the SSBU & Splatoon 2 Finals by hitting up the links below.